The BMW E91 was the last wagon that BMW offered with both a manual and rear-wheel drive for the U.S. market. It was a wonderful car, except for the fact that the BMW 328i wasn’t terribly quick. Some hero solved that problem with a turbo N55 out of a BMW 335i and you can buy it. 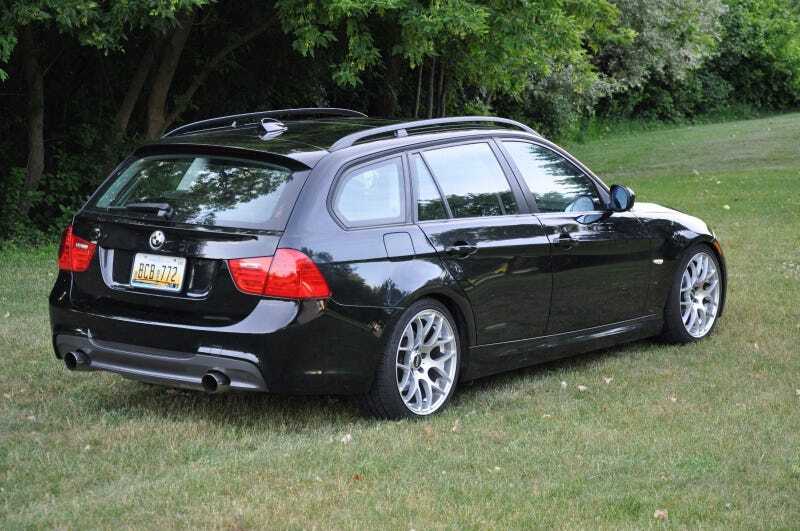 Currently listed on eBay is a 2009 BMW 328 SportWagen that the owner converted himself into a 335i wagon (a wagon! ), which was a configuration offered in Europe but not in the US. Under the hood is a turbocharged N55 inline-six motor that makes about 300 horsepower and is mated to a six-speed manual transmission. Of course, all that power gets sent to the rear wheels. It has about 89,000 miles but the drivetrain has only logged about 55,000 miles and the owner claims the swap was performed with the utmost precision. The swap was completed last year, by a true BMW enthusiast. No corners were cut. The engine/transmission swap is fully functional, coded, and almost undetectable to an untrained eye(only because they never brought them to the US). No error codes, no shadow codes. All electronics work properly, the keys and VIN matchting, all emission equipment in “ready” state. No issues registering, or insuring the vehicle. You shouldn’t believe everything you read on the internet, but the images make it look like this car was done right. In addition to the drivetrain swap, the ad mentions other upgrades to the suspension and bodywork that all seem to piece together into one seemingly clean wagon. The owner has a Buy It Now price of $21,995, which seems fairly reasonable to me considering that manual, rear-drive, E91s already go for crazy premiums.